A Gosport resident who worked inside Fort Monckton but often visited Fort Gilkicker during and after World War two reported that in the early years of the war he saw a 'triple generator', which he referred to as 'Pip, Squeak and Wilfred', mounted outside the fort. He explained that this provided power for a radar set. 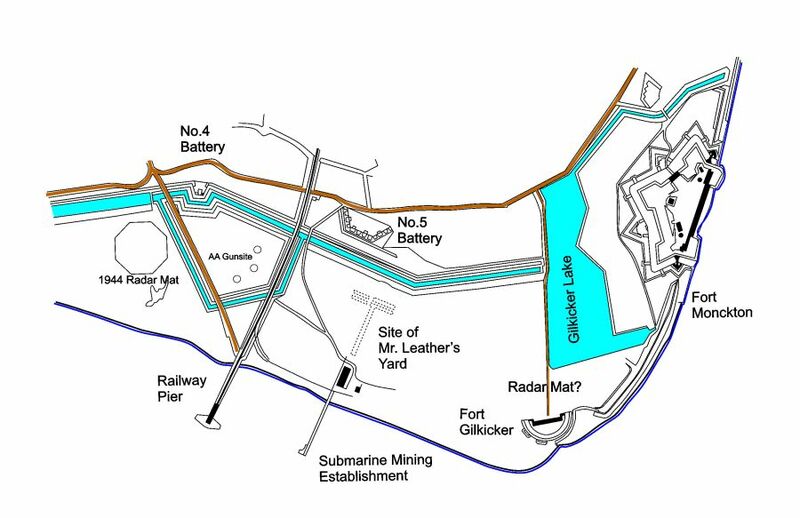 Pip provided auxiliary power, Squeak supplied the listening device whilst Wilfred supplied the network of wires which were spread across the field to the rear of the fort. This seems to be referring to a GL (Gun Laying) Mark II Radar with its transmitter, receiver and generator. An extensive mat of wires was laid across the ground to the north of Fort Gilkicker. (He may have mistaken the location as it was most likely placed to the west of the AA Gun Site). It's purpose, as described in AA Command - Britain's Anti-Aircraft Defences of the Second World War by Colin Dobinson, was to 'neutralise the vagaries in radar performance by surrounding the radar set with an uniform area of known electrical properties'. 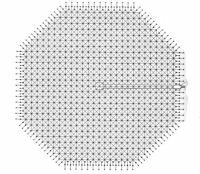 The mat needed to be big and consisted of an octagonal cat's cradle of strained wires supporting a grid of two-inch netting 130 yards in diameter, within which the radar cabin stood on a central platform. The mat needed 230 rolls of wire netting, four feet wide and 50 yards in length - six and a half miles of rolled mesh, or an area of more than fifteen thousand square yards - together with more than ten miles of galvanised wire. Erecting a single mat took about fifty men four weeks. The mat was suspended about five feet above the ground. 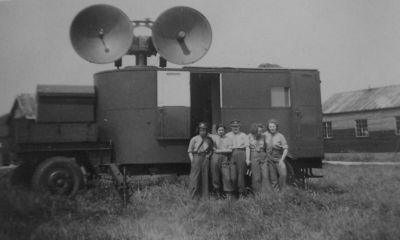 The GL Mk II radar consisted of two trailer mounted timber cabins for the transmitter and receiver, and a generator, the three making up a mobile convoy which in theory could be brought in and out of action quickly. In practice most of those used were left in place at Home sites. 1,679 GL Mark II sets were produced between June 1940 and August 1943. The transmitter sent out a beam and the receiver in the centre of its mat sensed the returning echoes. Both the transmitting and receiving cabins could be rotated towards the target. 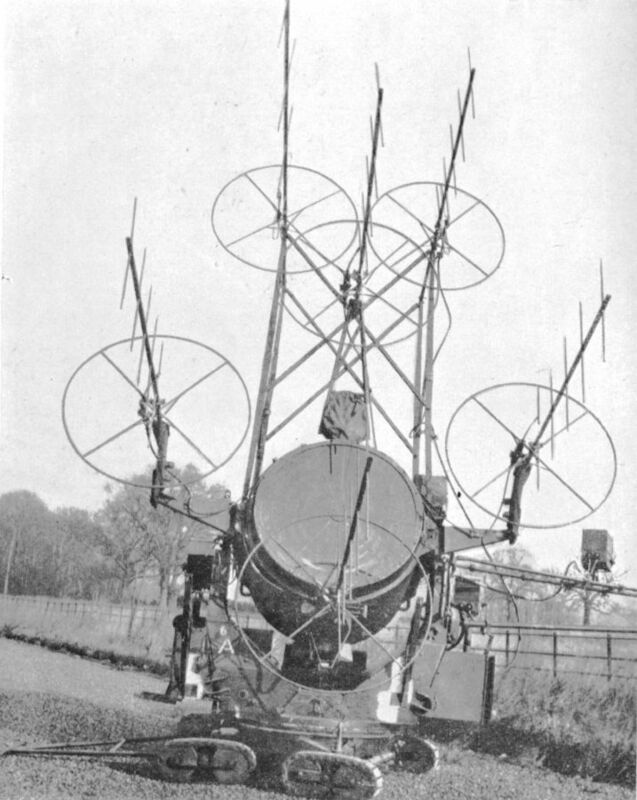 The transmitter had dual transmitter aerials. One sent out a search beam for early warning and another a more directional signal to 'hold' the target for fire control. 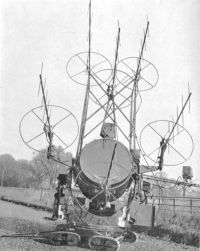 The receiver cabin had three aerials mounted on it for range, azimuth and elevation. 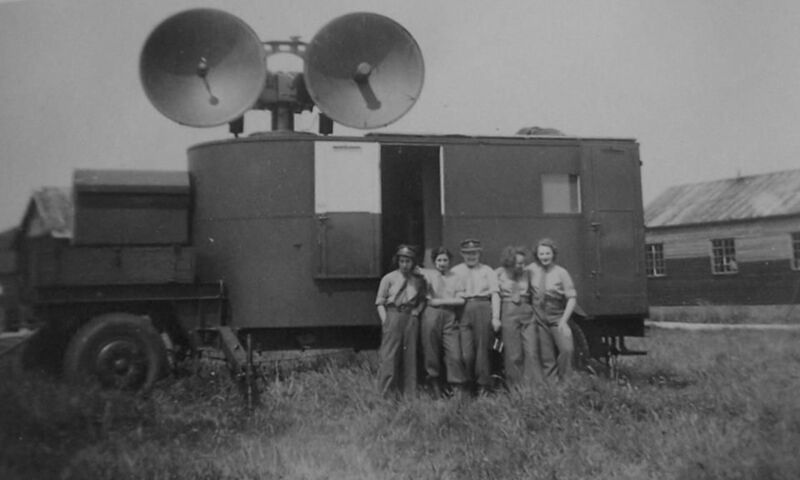 The radar set worked in the five-metre band and was used for early warning and fire control. It could see an aircraft coming at 50,000 yards or more (30 miles). It could follow it continuously at 30,000 yards (17 miles) and could control Heavy Anti-Aircraft fire when the target reached 14,000 yards (8 miles). Then range accuracy narrowed to under 50 yards. The GL Radar at Stokes Bay would have been used in conjunction with the Gilkicker AA Gunsite. The exact location of the radar mat is not proved but a diagram of the D-Day hards shows one to the north of hard G4 and to the west of the Gilkicker AA gunsite. Stokes Bay D-Day embarkation Hard G4 with Phoenix construction site 1 Based on a U.K. Hydrographic Office Plan (thanks to Chris Howlett) and aerial photographs of 1944 and 1946. The GL Mat is shown west of the AA gun site. 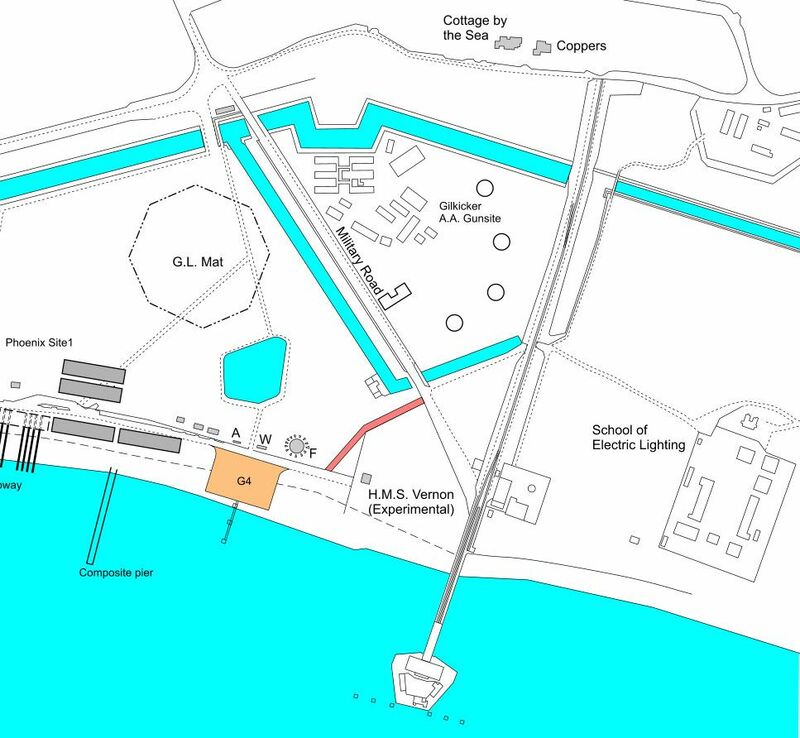 The gun site layout is based upon an aerial view of 2000 and an OS map of 1952. Gun Laying Radar (G.L.) The receiver of the equipment used by all A.A. gun sites. The cabin swings around on a pivot to keep it pointing at the target. The three sets of aerials are used for range, bearing and angle of sight.. This receiver sat in the middle of the wire netting 'Mat'. Centrimetric G.L. 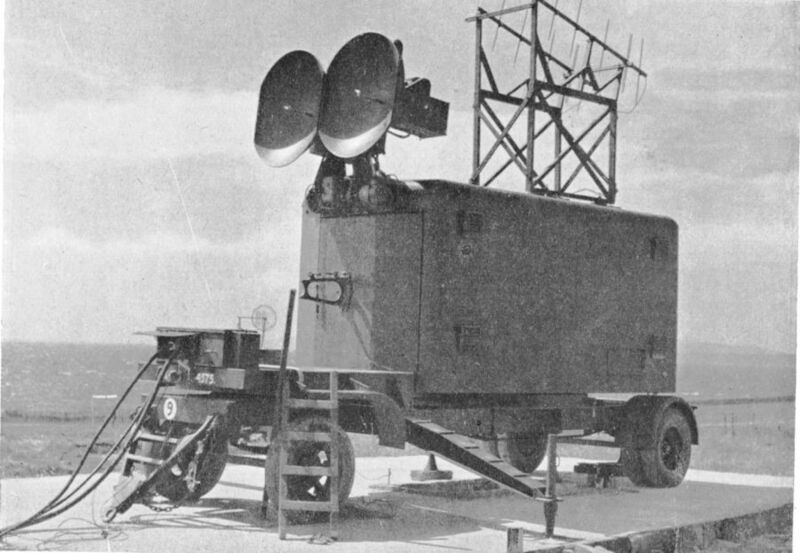 Radar Mk III(c). This is the Canadian version. The cups are parabolic reflectors which concentrate the wireless waves into a narrow beam. The aerial arrays on the rear are the Identification Friend or Foe (I.F.F.) It was highly unreliable, apparently due to the electronics chassis not really being up to the rigors of being swung around: note the entire system rests on a turntable. The flat sides on the dishes were intended to allow them to fold flat on the front of the cabin without overhanging on the sides. S.L.C. 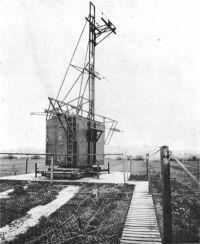 (Searchlight Control Radar) usually known as 'Elsie'. The aerial arrays are mounted on the searchlight itself and their lookouts are automatically switched above, below, right and left of the target. 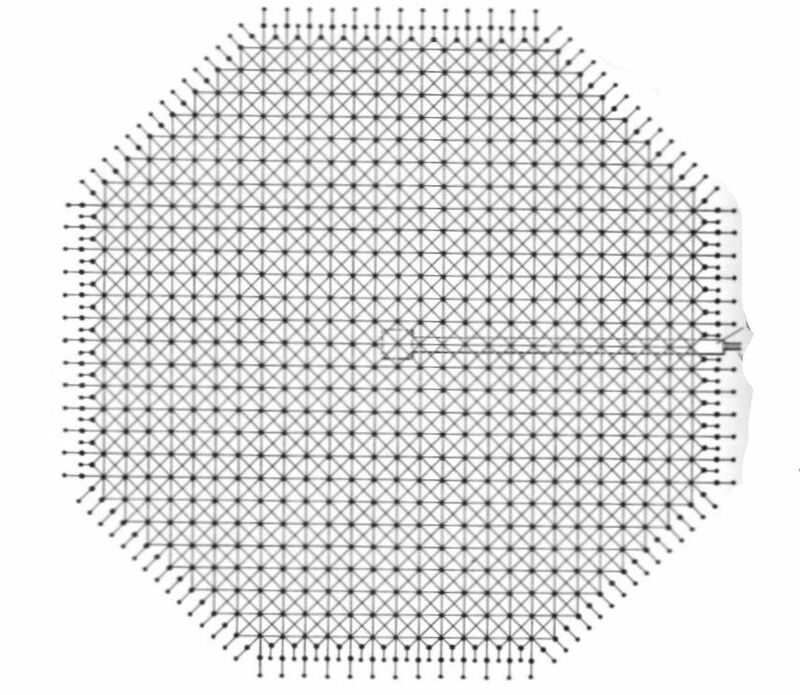 The circle of wire netting behind each array are the reflectors. 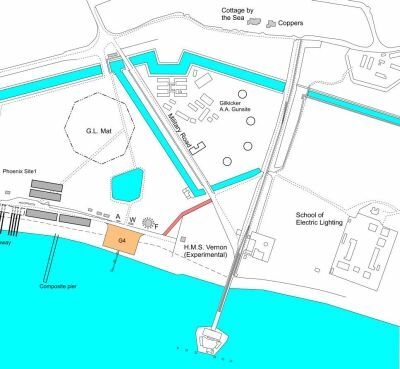 The same resident that reported seeing the 'triple generator' reported seeing a searchlight north of Fort Monckton where the Mason Boy's tower now stands and another one on Fort Gilkicker, west of gun position B1. More research is needed on the distribution of searchlights at Gilkicker. David Maber reports in his book that there were two 'coastal' (did he mean AA?) searchlights at Stokes Bay, one close to Gilkicker Fort and another near to No.2 Battery. Thanks to Maury Markowitz for corrections and additions to this page.